Recently we spent the weekend in Buffalo, New York and Chris and I took in a Buffalo Bisons baseball game. Coca-Cola Field is easy to get to (located in downtown Buffalo right by the highway) and family friendly - next time we'll bring Hannah. 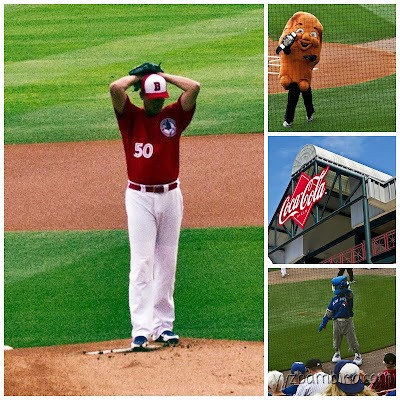 The food was affordable, the seats were comfortable and the mascots were entertaining. The highlight of my night was the Mascot Race! It's not every day you see Celery, Bleu Cheese, Chicken Wing and an Atomic Wing battle it out. As the biggest baseball fan I know, I thought Chris may be better suited to write this post. His take is below. 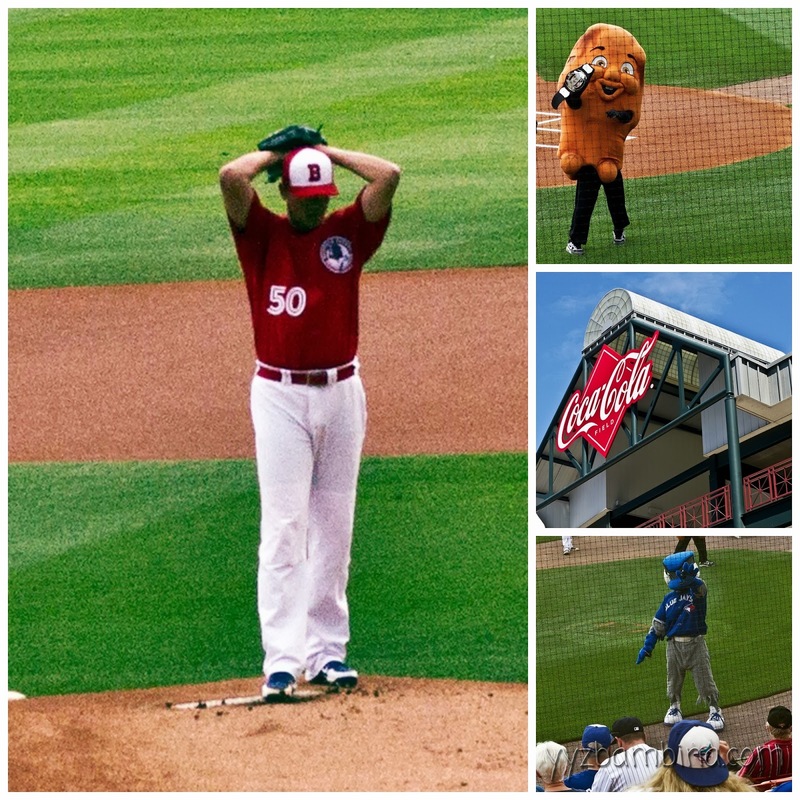 There’s nothing quite like minor league baseball. It’s as pure a form of the game as you can get nowadays; the feelings of nostalgia and simpler times waft through the park. 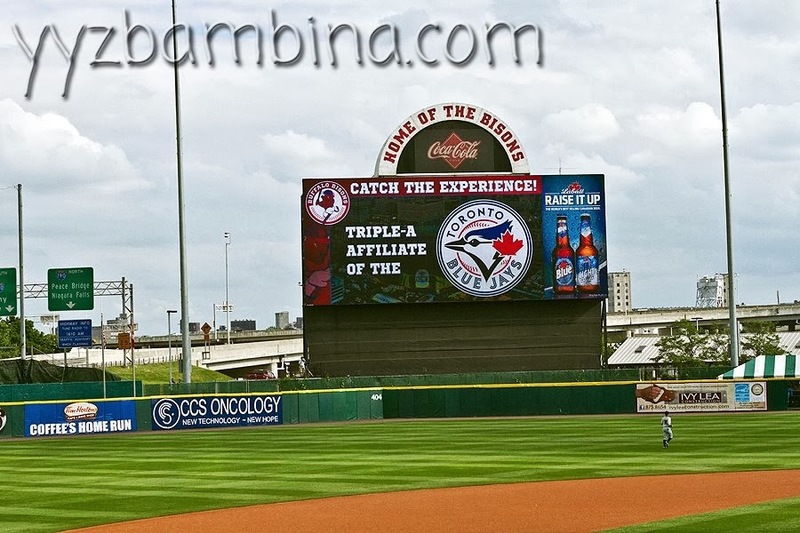 That atmosphere was certainly present at my first ever Buffalo Bisons game, in more ways than one. 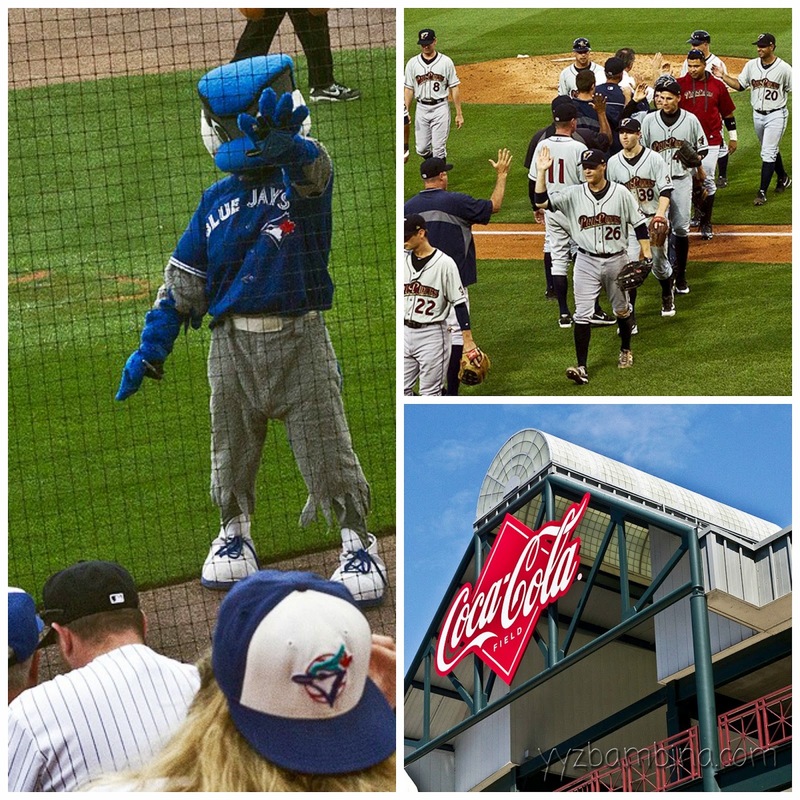 The new Blue Jays AAA affiliate moved from Las Vegas last season, but you’d swear they’d been there for decades; everyone was decked out in new Bisons merchandise or Jays-related gear. Geographically the closest team to Toronto, the partnership with Buffalo is a natural fit, and it’s one that the people of the city have certainly embraced. You could sense a closeness between the fans and the players, and considering the long-standing Jays fan base in Buffalo, it’s a wonder the connection wasn’t made sooner. The game we attended was Blue Jays Night, so there was even more emphasis on the new union. 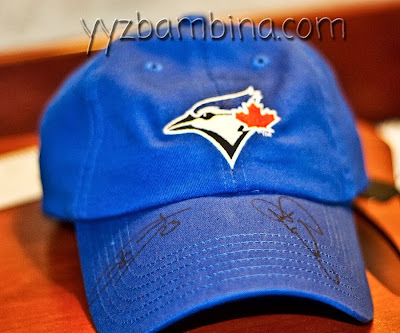 The festivities included a Jays hat giveaway at the gate and special guests including the Jays’ mascot Ace, and alumni Duane Ward and Candy Maldonado, members of the Jays’ World Series winning teams in the 90s. Meeting Duane and Candy was a thrill, considering I was lucky enough to attend some World Series games as a kid. Even though I don’t normally go for autograph opportunities, it seemed like the right thing to do given the whole vibe of the night. As for the game itself, the Bisons didn’t hit too well and lost the game 2-1 (it was the first of a doubleheader, but we only stayed for Game 1 and part of Game 2 while I waited in line for autographs). It was nice to see a few players who’ve played for the big club, like the day’s starting pitcher Chien-Ming Wang and speedy outfielder Anthony Gose. Overall it was a lovely day at the park, and at $13 for the best seats in the house, it’s a wallet-friendly option as well. Whether you’re a casual baseball follower or a diehard fan, checking out a Bisons game is definitely worth your time when visiting Buffalo. 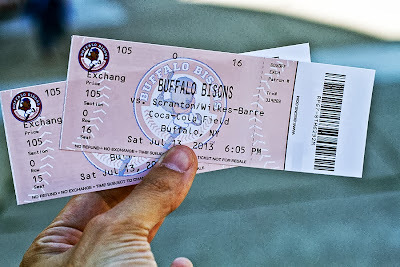 Disclosure: We received two complimentary tickets to the Buffalo Bisons game. All opinions are our own. Oh my goodness... Duane Ward and Candy Maldonado were there?! Lucky you guys! That is a very wallet friendly option. Glad to hear you guys had fun at the Bisons game.